Soaring demand for vehicle &apos;black boxes&apos; which can lower drivers&apos; insurance premiums is driving growth at Birmingham firm RS Fleet Installations. The firm has now outgrown its Perry Barr base prompting a move to a new larger headquarters at Coleshill Industrial Estate. 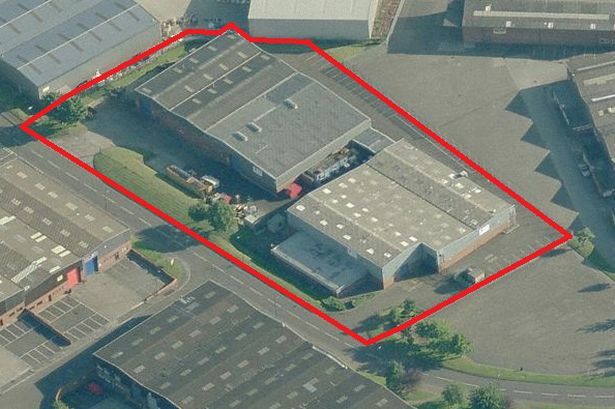 Darby Keye Property and GVA have sold a 37,666 sq ft industrial warehouse/production unit to the company to support a programme of growth that could see its workforce almost double from 200 to 400. Sally Hodson, operations manager at RS Fleet Installations, said: "We have outgrown our current home and that is the sole purpose of relocating. "We have grown quite rapidly in the last four years, from 20 members of staff to more than 200." The firm&apos;s stores and accounts departments have already moved to the new Coleshill base, with the remaining departments set to move across over the next three weeks. Ms Hodson said the firm&apos;s growth was largely down to a surge in demand for the telematic black boxes it fits to vehicles. Like black boxes installed on aircraft, telematics technology records information about a driver&apos;s actions, measuring speed, acceleration, G-force and mileage. Excessive speed and aggressive manoeuvres are flagged up on a dashboard device which also issues warning lights. The results can also be downloaded from a website, meaning anyone supervising the use of a vehicle - from fleet managers to parents of young drivers - can monitor driving behaviour. Ms Hodson added: "When black boxes are fitted to vehicles insurers can bring drivers’ premiums down. "The Government is pushing hard for them to be put into vehicles and the fact it is being government-backed - though not government-funded - means the figures are getting ridiculous." RS Fleet Installations was founded in 1988 by managing director Lea Hodson and initially specialised in fitting electrical systems such as alarms and radios for fleet customers. Its black box business, working in partnership with Insure the Box, has seen the firm branch out to individual as well as corporate customers. It is the difference a black box can make to individual insurance premiums that is behind the firm&apos;s rapid growth. Ms Hodson added: "If you are taking insurance out on a vehicle and say you would be prepared to have a telematics black box fitted it will come up with a cheaper quote. They will then come to a company like us." Speaking about RS Fleet Installations&apos; move to Coleshill, managing director Mr Hodson said: "We needed accessible, well connected warehouse accommodation that is well placed to service our national client base and facilitate growth. “It was immediately apparent that this type of property is in very short supply, particularly the freehold variety. We wanted to own our premises and are pleased to have secured a building in this location." Chris Keye, director at Darby Keye Property, said the sale represented a rare freehold opportunity, given the improving economic climate and high demand. He said: "The marked improvement in business confidence across the region is having a significant impact on the take up of industrial property. Supply levels are very low and the availability of freehold options is almost nonexistent. "There is once again a strong desire from occupiers to own their property. However the lack of suitable options is constraining growth."